It’s about time they got serious about this. People hardly ever leave their litter on my trails, but they do leave cigarette butts. And those butts stick around until they get covered up with dirt. And they aren’t even the kind of butts that are good for sniffing. 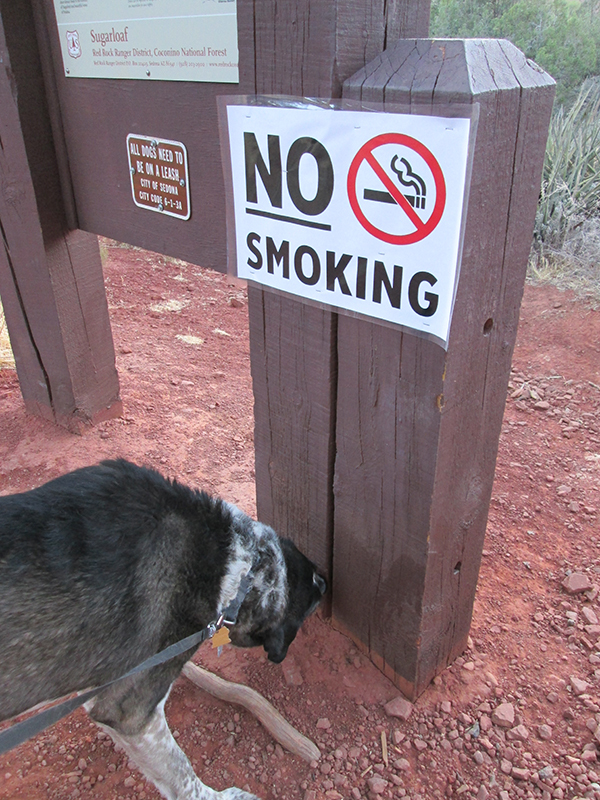 But my person says the people who put up those signs weren’t even looking at the butts on my trails. Because they don’t want this kind of smoking on my trails again. A long time ago they posted fire restrictions because the fire hazard is so high right now. 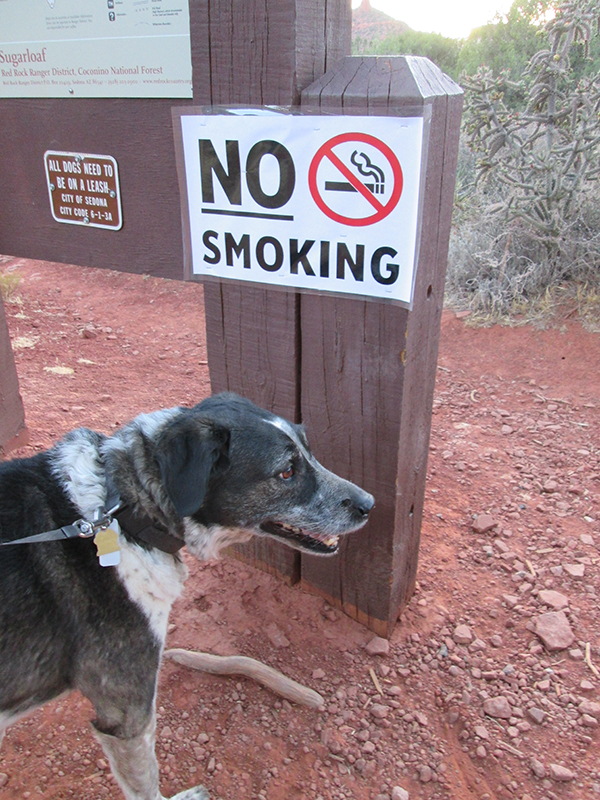 And those restrictions include no smoking outside. But for some reason wildfires don’t pay attention to signs. And neither do some cigarette smokers. So they had to put up great big signs. Hey person, I’ll be along in a minute. I’m checking to see if there are any messages about people not seeing this sign. Fredrieka, I don’t even get near that kind of butts. I can tell they’re bad from a distance. Marina, a lot of the wildfires would be much more obedient if people would just do their part. We get a few caused by lightning, but most of the time the rain puts the lightning fires out pretty quickly. So far we haven’t had any lightning or rain – it’s the people we have to watch out for. I wish I could eat cigarette butts. Mom says no, on account of they’re disgusting. Disgusting is my favorite flavor. Cupcake, cigarette butts are too disgusting even for you – or me. Lily & Edward, people’s butts are okay – but none of that other kind. 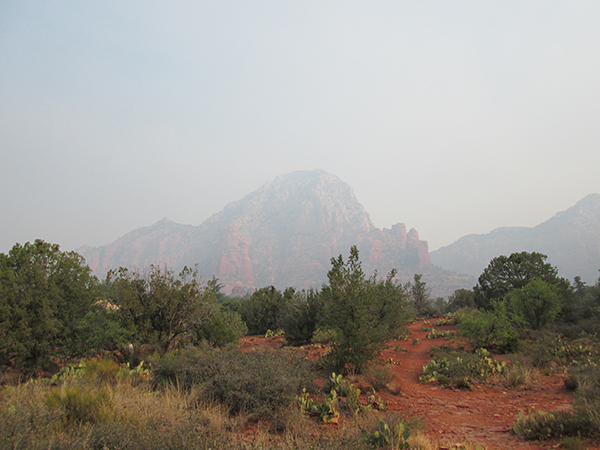 Smoking on your trails is really dangerous…..please do not eat those butts….people who walk on your trail should respect it…. Angel Kevin, I only like people and dog butts. Those other kind smell too terrible even for me.